Forming a nonprofit social media campaign may seem daunting at first but by leveraging a synergistic social media plan your organization will produce a winning outcome. I know from my day to day experience that managing a nonprofit organization is very diligent work but rewarding. My blog series will begin with aligning a social media campaign that fits your organizational goals and objectives. The strength of any great organization is the talent and hard work of people dedicated and driven to work the daily programs for awareness and their gravity. A vital part of any business is how the organization communicates its vision to its audience. It is important to reach your viewers and contributing donors by supporting programs that impact people, places and the cause that is being served. Mind Mapping for a Plan of Action. A great way to show this presentation is to first build a storyboard or a mind map of where you want the organization to go. How will the organization portray itself ? 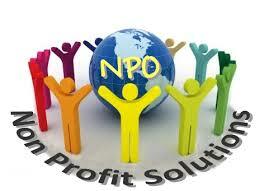 I will reduce your possible apprehension and guide your organization through the process. 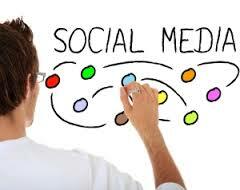 My outcome is to assist you to achieve a quality social media campaign. The success stems from reaching the highest level of viewers to get your nonprofit name up front and personal to the public. A nonprofit is a brand that requires creative media strategies that will stand the test of time. So let us get started and learn how to deploy your organization in a great process. The preferred way to accomplish this goal is to build a strong network of people that will retain their support and help promote your cause. Retaining a following is your organization’s key long term goal. I will say up front that designing the social media campaign is pretty dynamic and always changing with a curve of learning for the various tools. After your media campaign is “live” you will post articles to fit your schedule particularly a high profile fundraising event that you will want to invite community donors to attend. I will post soon on how to build a media campaign to get your event advertised for the highest turnout. Right out of the gate, the pivotal social media sites are LinkedIn, Facebook, Twitter and Google+. These are the gold standards that reach a very large part of the web browsing community. The visibility is best achieved through connecting all of the social networks to flow seamlessly to the pages telling an engaging story to raise brand awareness. LinkedIn will build a strong foundation for your mission to complete a company profile. For most of us we think of LinkedIn as a career site that you edit your job attributes in and you then connect to colleagues and future job employers. Their social media platform presents a visual format that engages support and shares news, grows followers and will if required find volunteers (LinkedIn, 2004). 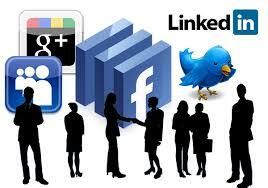 By utilizing LinkedIn right from the start you have a large skilled group of talented people to network. A Facebook page will push out to a massive audience of people raising awareness of what your organization does and this is a great win-win for your public persona. The “Like” your profile helps for feedback and there are many large organizations that have charity events that your company would be able to reach out to for media coverage. The goal is to build up a following of people that can promote your organization and add their friends to get involved in helping your mission (blackbaud.com, 2014). Twitter is a fantastic way to offer your organization fun and engaging shorter comments and exchanges of information about up and coming events such as twitter parties or fundraising events. New features are on the way for twitter profile designs. The functionality is being redone to be more dramatic. The expectation is to offer nonprofit organizations more visual content offering larger avatars and higher pixel displays (Twitter, 2014). Google+ is another large social media market offering a great place for your nonprofit organization. The platform tailors the design to show the daily analytics of the numbers of donors, volunteers and teammates (Google+, 2014). The use of a circle design would add your followers suggesting a never ending circle of contributors or members working together as a collective to bring your message to the world. I want to take this opportunity to celebrate the support of teams out there that work tirelessly in the many nonprofit organizations helping humanity. It never ceases to amaze me how generous people across the globe are dedicating time and their resources to work for the greater good. Graphic images of Social Media Tools. It would be great to hear from visitors please feel free to write me a comment below.